I can't believe that I haven't written anything for such a long time. Well so many changes have happened on and to the rock since my last missive it's difficult to know where to start but lets kick off with the helicopter, or should I say lack of it! True to it's word the service finally stopped at the end of October and I don't care what anyone says it IS a great loss. There is still talk of something setting up in it's place and I for one hope that it does. I certainly don't want to knock Skybus or the Steamship Company but there are many times during the winter when the helicopter was the only link to the mainland. As I write this is the second day that I have been trying to get to the mainland on business, High winds yesterday, the airfield at Lands End waterlogged and wind from the wrong direction today means that I am sitting at the computer writing this rather than getting on with what I need to do in Truro and Penzance. Oh well this is what you have to put up with when you live on a rock in the Atlantic. Mick Jagger wants to visit this rock! Or so he said on the One Show last Friday. Well Mick I can assure you that you would be very welcome and I hope that it won't be too long before we see you here. I'm sure he knows that he will find the best accommodation on www.come2scilly.com I expect he is browsing the website as I write. I tell you what, it would be great to see Mick doing a set with Terry Ward and the Steamband. 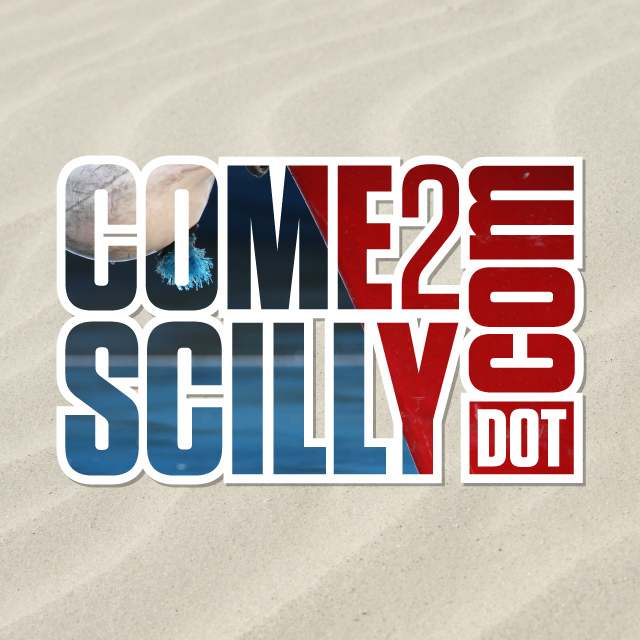 Send me an email Mick tim@come2scilly.com and I'll arrange the gig for you. The One Show has been very good to the islands recently, not only did they promote the islands with Mick Jagger on Friday but on Monday s show (26/11/12) they had their pet photographer do a 5 minute slot on his photographic visit to the islands earlier in the year. Actually it was a very nice little piece and showed the islands in a very good light. Thanks to The One Show. Staying on the TV theme, I met Ed and Shane from the Cornwall Channel earlier in the year and they are producing work that is being shown on Channel 212 on Sky on a Monday evening at 9pm. They are mainly publicising Cornwall but they want to include the islands as well. They have kindly loaned me their spare camera and I am taking some bits of film that I hope will also be shown in their programme on Monday evenings. At least it will be if I can get my head around the software that is needed to download it to the web. I expect I need a handy 2 year old, they seem to be able to handle all this technology pretty well.